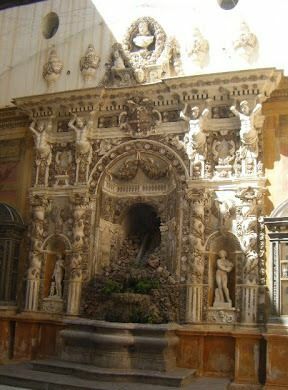 Mirto Palazzo (Palazzo Mirto) Palazzo in Palermo. The building is located at the Kalsa, ancient Moorish fortified headquarters of the Emir. For four centuries it was the residence Filangeri of Palermo, and then Lanza Filangieri Principles of Mirto, hence the name of the palace. The Filangeri were the most important Norman family in Sicily and southern Italy, the same strain of the Sanseverino and the Gravina, all descended from a common ancestor, the legendary knight Angerio, the dynasty of the Dukes of Normandy, that came to Italy in the wake of Tancred, around 1069. The Sicilian branch comes from Abbo Filangeri, we also recall the Filangeri Principles Cutò, maternal ancestors of the writer Giuseppe Tomasi di Lampedusa. 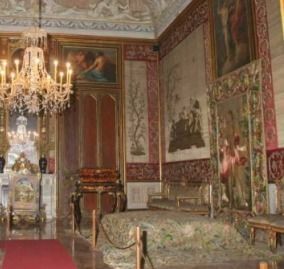 In 1830 Victoria Filangeri, the last of his family, married with Ignatius Lanza Branciforte, Count of Raccuja and their descendants have lived in the palace until 1982, when the last heir, Donna Maria Concetta Lanza Filangieri Mirto, donated the palace to the Region Sicilian to create a museum, as a result of a will of his brother Stefano Lanza Filangeri. The oldest parts of the building date back to the thirteenth century, but in the sixteenth and seventeenth centuries were made radical changes. During the nineteenth century there were other changes up to the present form. 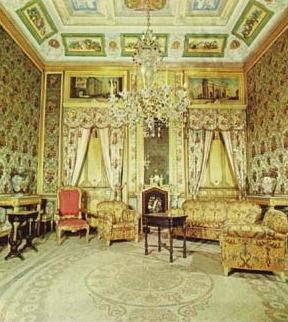 The interior is sumptuous, a typical example of the residences of Palermo, with furnishings ranging from the seventeenth to the nineteenth century. There are many Murano chandeliers, Chinese lacquered panels, porcelains, tapestries and fine watches. As in many buildings of the same period, there is a smoking room decorated according the Chinese fashion and with leather floor. The reception rooms develop around a large terrace whith a beautiful fountain and decorated with a trompe l'oeil representing a garden. 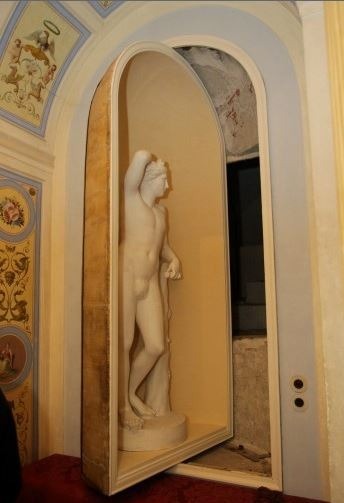 Visiting Palazzo Mirto means to have easy access to the residence of a great noble family, and have the chance to admire the architectural spaces and furnishings, the result of skilled local craftsmen, and so admire the collections of objects collected according the taste and predilection of the owners towards the various forms of art. 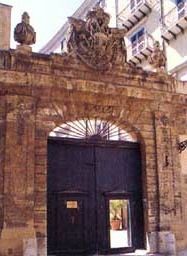 Visit the Mirto Palace (Palazzo Mirto). The Palace is included in our walking tour or by car or minivan with driver/guide.